We hope everyone has had a safe Easter. 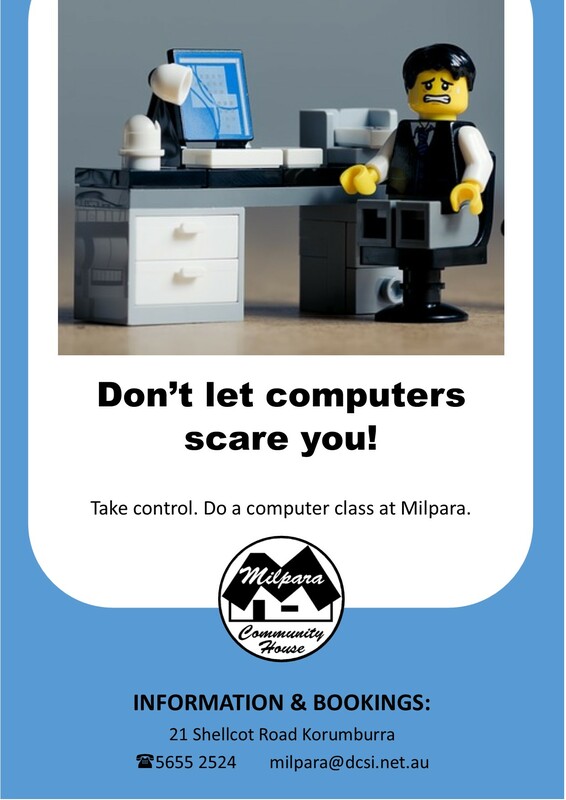 It’s Tuesday April 23, and Milpara is open ready for a wonderful Term 2. A friendly reminder reminder that we will be closed on Thursday April 25 for Anzac Day. Enrolments are open for all of the Term 2 courses. Due to the public holidays, it is a bit of short week and only the following weekly classes will start this week: Morning Mah-jong, Yoga, Milpara Singers, Crafts with Barb and Learn English. Our other weekly classes will start next week including English & Maths Monday April 29, The Craft of Story Writing & Speak English Thursday May 2. Tuesdays Basic Cooking with Laura has moved times slightly and now starts at noon commencing on Tuesday April 30. We have some great activities starting in May. Introduction to Buddhism will run over 5 weeks commencing May 6. Fitter for Life is for men and women over 50 the sessions are designed to improve your mobility, strength, balance, coordination and flexibility. The come try day will be Tuesday May 7 and then will continue each week if there is sufficient interest. Art is one of the most powerful means of self-discovery so why not try our Art Therapy Group Sessions commencing May 17? If you would like to know what else is on offer in Term 2 check out 2019 Term 2 Colour Program or pop in and see us and pick up a paper copy (21 Shellcot Road Korumburra). If you have any questions please give our friendly staff a call on 5655 2524. We’re on School Break but Centrelink will still operate normal hours! Posted in Uncategorized	| Comments Off on We’re on School Break but Centrelink will still operate normal hours! In need of more smiles and laughter? With such diverse people coming through the front door each week at Milpara there are always different smiles from cheeky grins, smirks to beaming smiles that make their eyes squint. That is not to say Milpara is always just fun and games, smiles do develop from happiness but also from relief and compassion. One of my favorite things about Milpara is the smiles shared. Often where smiles live laughter follows, it is the best contagion I know for bringing on more smiles. We often receive messages, calls or a person drops in looking for something but they’re not sure what, they may feel isolated or need to make some social contact. Often they are surprised just what smile/laughter opportunity’s Milpara has on offer so I thought I might share. A great smile inducing activity is The Milpara Social Singers who meet at Milpara Wednesday afternoons from 1.30pm during school terms. You do not have to be able to sing just a willingness to give it a go. Crafts/Cards with Barb meet Friday afternoons. Many of the group make beautiful embroidery cards and Barb can supply materials and full instructions if you would like to learn the skill too. Alternatively, you can bring your own craft. The Craft of Story Writing class meet Thursday mornings it is a great mix of people. The Korumburra Men’s Shed meet on Tuesdays and Wednesdays and the Hospital Garden group on Thursdays. The community meal on the first Friday of the month is also a smile-filled event. These are just some of the opportunities. If you are looking for something let us know we may be able to help you find some extra smiles and laughter in your life, call Milpara 56552524. Posted in Uncategorized	| Comments Off on In need of more smiles and laughter? At the March Community Meal, Friday March 1, 62 people came along to share a meal together. The room was buzzing with conversations as people made new friends and caught up with old ones. It is so lovely sharing a yummy meal, this time sausages, rissoles, salad and delicious potato bake followed by ice-cream with sprinkles. Background music played, provided by two very talented men playing flute, mouth organ and guitar. It was a delight to see some of the children up and dancing and playing twister together. We were incredibly excited to have a few special guests John Myors and Hugh Hendry both local long standing Freemasons. Freemasons Foundation Victoria is contributing to a better Victoria through thoughtful and purposeful charitable support and community involvement. 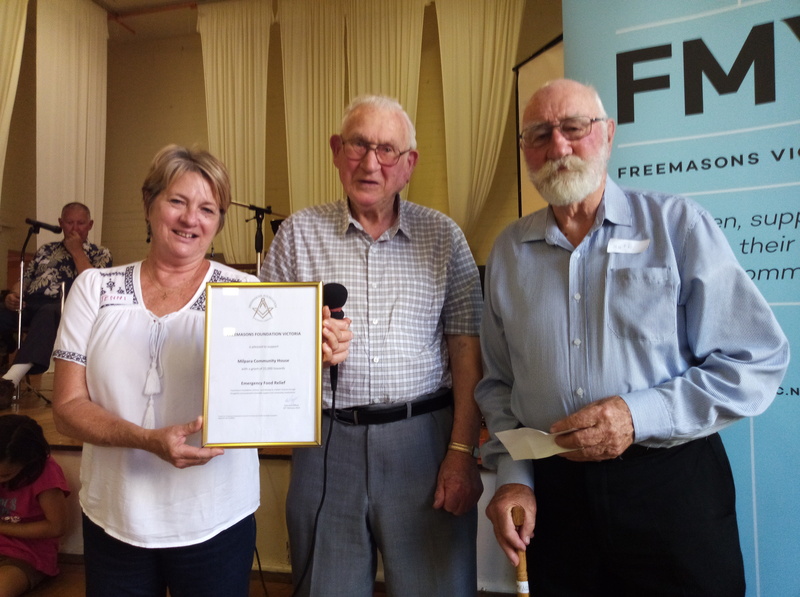 John presented Milpara Community House with a certificate to acknowledge Freemasons Foundation Victoria’s grant of $5,000 towards Emergency Food Relief. Hugh also presented Jenni of Milpara with a cheque of $500 from the local Freemasons group. It was fantastic to hear of the great work the Freemasons do. It is heart-warming to belong to such a wonderful community. Why not join us for the next community meal on Friday April 5 at the Anglican Church Hall. This is a great opportunity, grab a friend or neighbour who often eats alone or needs a free social night out and bring them along. No bookings required just a good attitude. 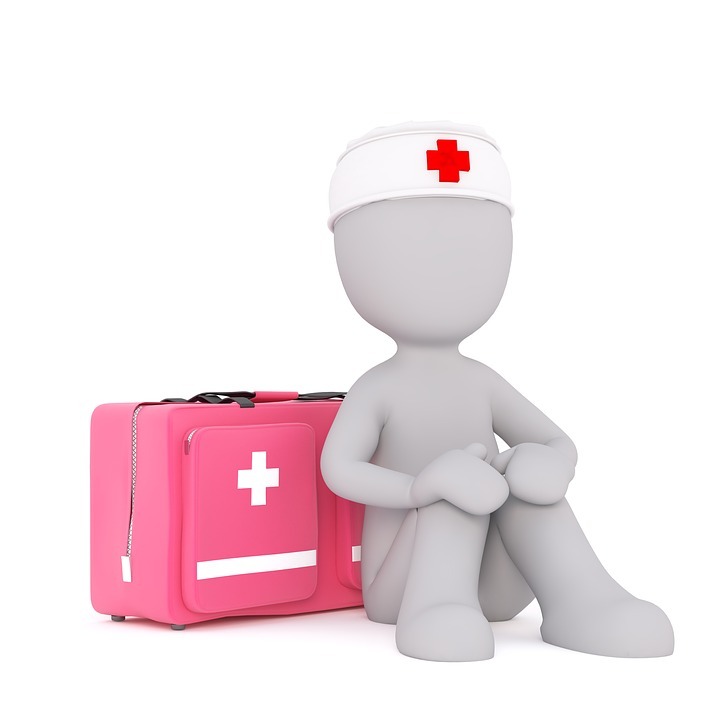 Due to unforeseen circumstances, the Apply First Aid Course and CPR course did not go ahead on the weekend. We are currently looking at rescheduling for either Saturday March 30 or Saturday April 6. Please let us know if you would like to express interest for either day. Milpara is planning to provide some computer training for a local business. This means we have moved forward the start date of the Introduction to Computers Beyond Basics class which will now start on Wednesday March 13. There is room for one more student so please let us know if you may like that spot. Relay for Life is this weekend! Milpara will again has a team. If you would like to make a donation, you can do so online via the Relay for Life website our team name is Milpara. Alternatively drop in and see us, we have a lucky square board and raffle tickets available at Milpara 21 Shellcot Road Korumburra. If you would like to join our team you would also be very welcome. Towards a Better Life is a two day workshop Tuesday April 2 & Wednesday April 3, bookings are essential. You can contact Milpara on 5655 2524. February is such a funny month, one moment it is mid-February and the next thing you know it is March. It may only be 3 days shorter than January and March but it seems to make a difference. Therefore, we thought it was important to remind people that you need to book into the Food Safety Course this week as we confirm numbers 1 week ahead of classes; class is Thursday March 7. We still have places available in our Xero class, First Aid, CPR and RSA they also need to be booked as soon as possible. Milpara will be part of a community event ‘Friendship Day’ that will welcome refugee and asylum seeker students from Dandenong to visit our beautiful community. If you would be interested in participating in the event please contact Jenni at Milpara and she can pass your details onto the event organisers. Reminder that the Community Meal is the first Friday of the month. That means it is on this Friday March 1 at the Korumburra Anglican Church Hall. We had some very exciting news last week when John Myors popped in to inform us that a recent application to Freemason Foundation Victoria was successful. We are incredibly grateful to be receiving $5000 towards the Community Meals and John’s local group are chipping in an additional $500. Mindful Self Compassion, Cloud and Accredited courses coming up! The Mindful Self Compassion course will start on Monday February 25. Held over 8 Monday evenings of 2.5 hrs per session. Presented by John Julian, a fully certified teacher of Mindful Self-Compassion (MSC), Counsellor and Psychotherapist, Mindfulness and Mental Health trainer, Accredited Mental Health Social Worker, (BA, BSW, AMHSW). Subsidy may be available if eligible for Medicare subsidy with a current mental health care program. Bookings & enquiries with John on 0439 901 795. Cloud accounting has changed the game for small businesses. It connects small business owners with their numbers anywhere, on any device. 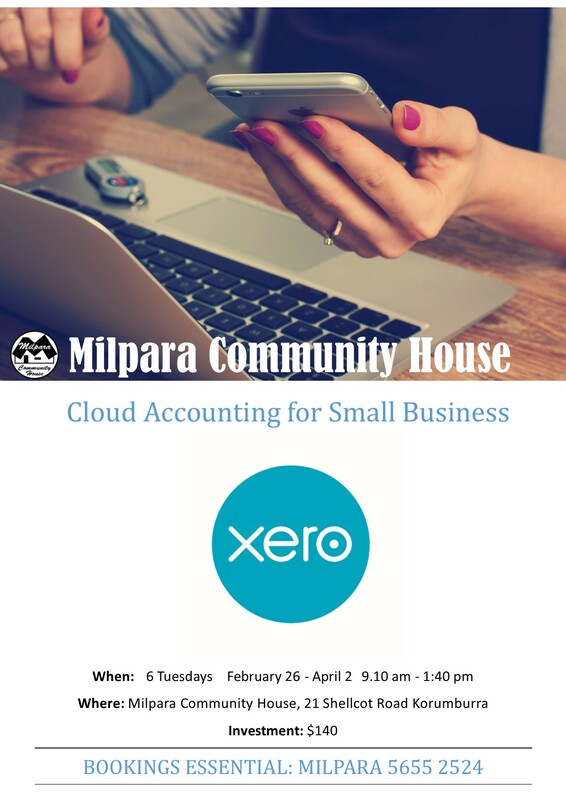 Milpara are offering Xero: Cloud Accounting for Small Business. This course will equip attendees with the skills to efficiently use the cloud accounting package Xero and integrated apps Tsheets and Receipt Bank, to allow more efficient business management, to streamline and automate their business processes and to allow for easy recording of business information. Course scheduled for 6 Tuesdays, February 26 – April 2. Food Safety Level 1, Level 2 or combined as a Food Safety Supervisor are all on Thursday March 7. 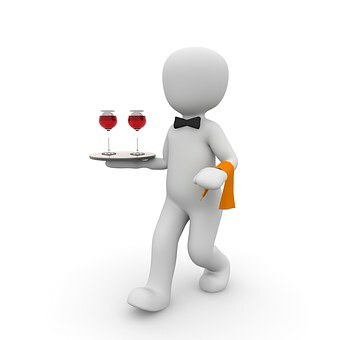 Responsible Service of Alcohol the evening of Wednesday March 13. Please do not leave booking until last minute if possible. Confirmation of minimum numbers are required 1 week ahead with visiting training organisations, it is very disappointing to cancel unnecessarily. For all bookings, call Milpara 5655252 4. Posted in Uncategorized	| Comments Off on Mindful Self Compassion, Cloud and Accredited courses coming up!